Rutland St (or Ruthland St), Limerick. See map. The Old Town Hall, Limerick. This was built as a Chamber of Commerce in 1805. 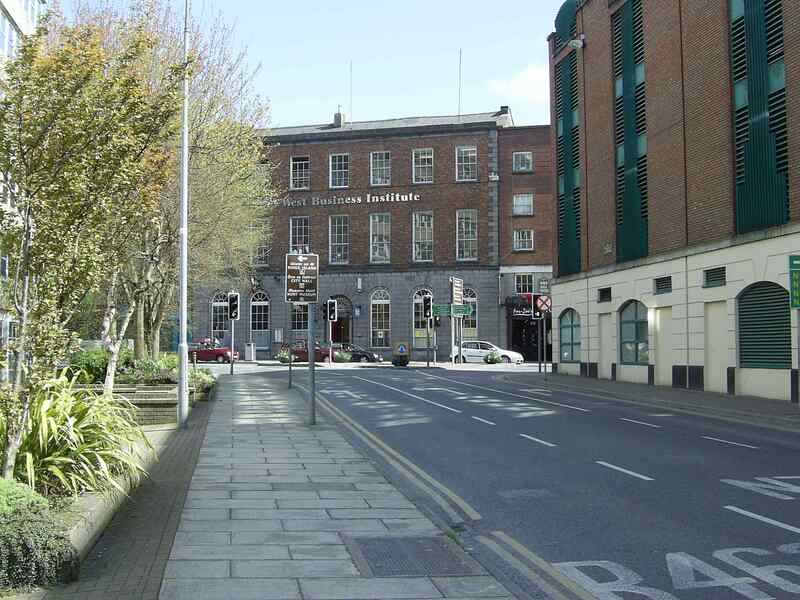 This was the Town Hall of Limerick from 1847 to 1990. Stephen O'Mara 1885 and 1886. Stephen's son Phons O'Mara 1918 and 1919. Stephen's son Stephen O'Mara 1921 and 1922 and 1923. It ceased to be the Town Hall in 1990. The Old Town Hall was restored by Richard Humphreys in 1992. 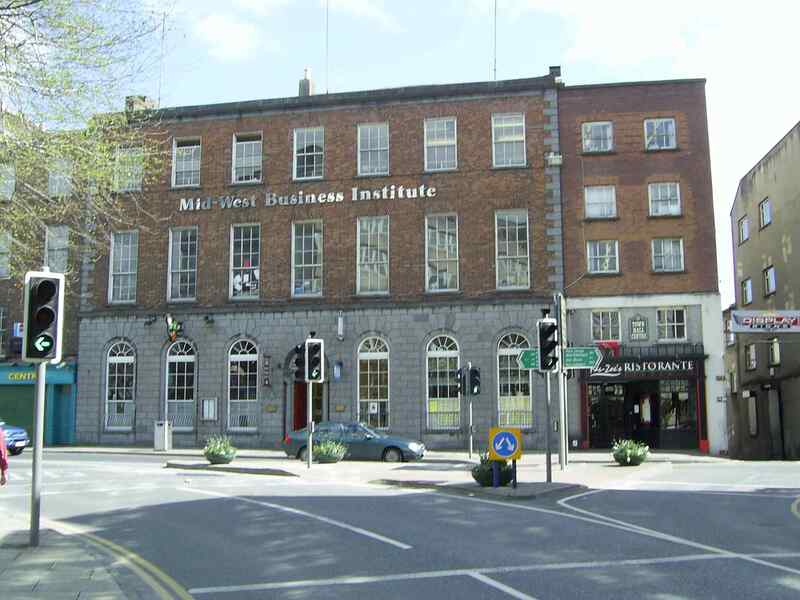 It was occupied for a time by the Mid West Business Institute (now Griffith College Limerick). Called the Old Town Hall Centre. It was bought for a planned shopping centre re-development called "The Opera Centre". 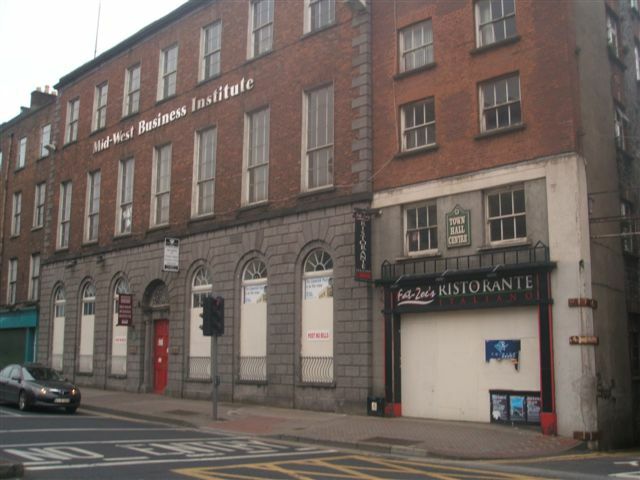 The Town Hall is now vacant, boarded up, awaiting re-development. The Old Town Hall, Limerick. See full size. See alternative shot (courtesy of Richard Humphreys). See 2008 photo courtesy of Richard Humphreys. See 2009 photo courtesy of Richard Humphreys. 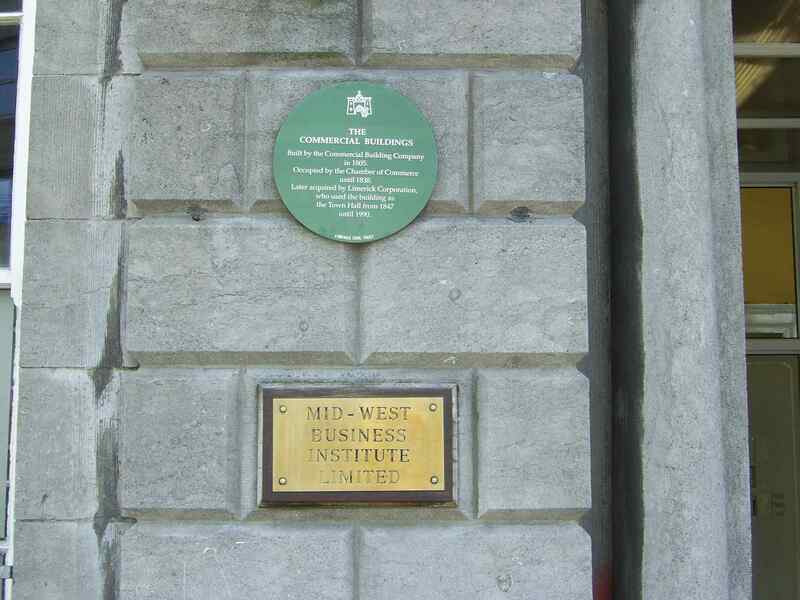 Plaque at front door. See full size. 2009 photo. Courtesy of Richard Humphreys.